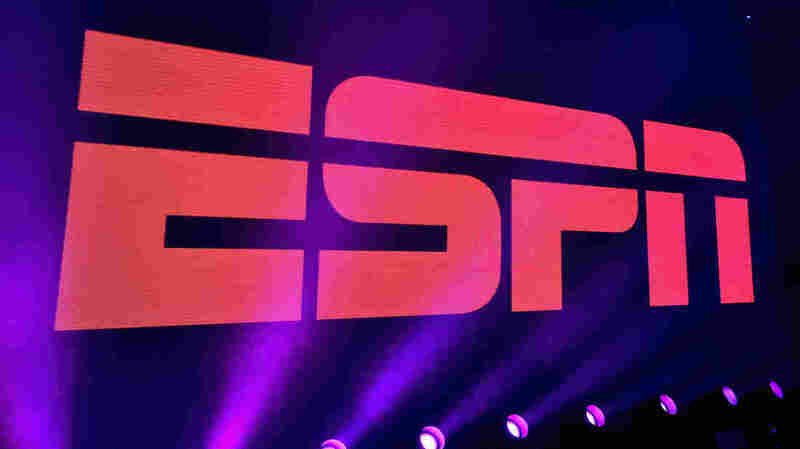 ESPN Layoffs Begin, And Some 100 Employees May Lose Jobs : The Two-Way The cuts have already hit some well-known names, including veteran NFL reporter Ed Werder, college football analyst Danny Kanell and college basketball reporter C.L. Brown. ESPN has been facing a slump in revenue that's most easily traced to cord-cutting by former cable subscribers. Reporters and on-air personalities are among the roughly 100 ESPN employees who are expected to lose their jobs this week, in a cost-cutting move at the network that has lost millions of subscribers in recent years. The cuts have already hit some well-known names, including veteran NFL reporter Ed Werder, college football analyst Danny Kanell, and college basketball reporter C.L. Brown, along with NHL columnist Pierre LeBrun. As of midday Wednesday, at least three media outlets published pages to track the exits from ESPN, including ones from The Sporting News, Deadspin and The Washington Post. "We will implement changes in our talent lineup this week," ESPN President John Skipper wrote in a note to employees Wednesday morning. Skipper said those laid off will include "anchors, analysts, reporters, writers and those who handle play-by-play." ESPN has been facing a slump in revenue that's most easily traced to cord-cutting by former cable subscribers, in an era of sharply shifting habits both for sports fans and for television viewers in general. Some of ESPN's financial problems center on the roughly 2 million subscribers it lost in fiscal year 2016; falling advertising revenue and rising costs of broadcast rights have also contributed. "It's not only the subscriber loss, which is huge — and it's really affecting all cable channels," John Ourand of the Sports Business Journal tells NPR's Audie Cornish on All Things Considered. "ESPN used to be in close to 100 million houses, and now it's in less than 87 million homes, according to Nielsen," Ourand says. "And ESPN gets about $7 per subscriber per month, so that loss ends up being a lot of money." Announcing its most recent quarterly results in February, ESPN's corporate parent, the Walt Disney Co., blamed the network for an 11 percent drop in operating income in its cable TV division during the final quarter of 2016. Those results were reported during a football season in which ESPN's Monday Night Football struggled to retain viewers, despite the network being in the midst of a contract that requires it to pay the NFL some $1.9 billion annually. ESPN also pays well over $1 billion to the NBA every year, as part of a reported $2.66 billion yearly contract that it shares with the TNT network. As for its future strategy, the company says it will continue to roll out new content on digital and social media platforms. It will also relaunch two popular properties, Outside the Lines and E:60, in May.